As opioid addiction continues to ravage many Tennessee communities, the U.S. Food and Drug Administration (FDA) has taken action against the manufacturers of so-called dietary supplements that contain opioid compounds. More than two years ago, the FDA directed federal marshals to seize over 90,000 bottles of supplements containing kratom, the common name for a type of tree grown in southeastern Asia. Although kratom, which is botanically related to coffee, has been used as part of folk medicine in Asia for more than a century, the FDA says it contains addictive opioids and therefore poses a substantial risk to public health. Dietary supplements are legally classified as a type of food rather than drugs. This means that the FDA cannot legally test or review dietary supplements to prove their safety or effectiveness. That said, companies that manufacture or distribute dietary supplements cannot mislead consumers or make claims regarding their medicinal use. As for the kratom supplements, the FDA said it supervised a “voluntary destruction and recall” of products previously marketed under several brand names. The distributors subject to the recall also agreed “to stop selling all products containing kratom.” And the FDA encouraged anyone still selling dietary supplements with kratom to pull any remaining products off the market. Beyond the inherent risks of taking opioid-containing products, the FDA further cautioned that kratom supplements may be a contributing factor in an ongoing salmonella outbreak. As of February 20, the U.S. Centers for Disease Control and Prevention reported at least 28 people in 20 states have been treated for salmonella infections. The FDA believes this is the result of bacterial contamination during the kratom manufacturing process, which is not subject to the U.S. government’s rigorous safety standards. If you or a family member are suffering from opioid addiction, do not rely on “home remedies” or questionable dietary supplements that may only lead to further complications. Seek treatment from a qualified medical provider. 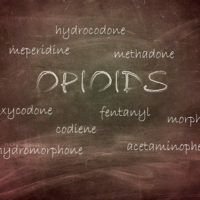 And if you want to take legal action against the companies who contributed to your addiction in the first place, contact the qualified Tennessee opioid lawyers at Fox & Farley, Attorneys at Law, at 866-862-4855 today.